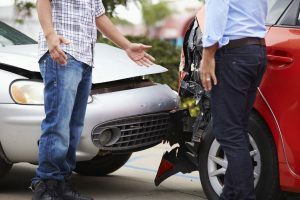 If you were seriously injured or lost a family member in a car accident, you may be able to recover compensation by bringing a personal injury or wrongful death claim against the liable party. 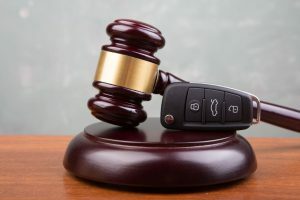 Unfortunately, because these cases often result in substantial settlements, insurance companies will go to great lengths to reduce the amount of compensation they have to pay out. For example, the claims adjuster might review your social media accounts for photos that can be used to challenge the severity of your injuries. The adjuster might also try to coerce you into admitting fault or making other compromising statements during a recorded conversation. The bottom line: One small mistake or misguided statement could be all it takes to derail your case. In this blog, we’ll discuss a few of the most common mistakes that claimants make and how you can avoid them. The best way to prevent disputes from arising during the claims process is to enlist the help of an experienced personal injury attorney. Scott Charnas is a car accident lawyer in New York City who will assess your case for free and help you determine the most strategic way to proceed. Scott has recovered nearly $50 million for clients throughout New York and Massachusetts. He has an AV-Preeminent rating from Martindale Hubble—the highest rating given. Call 212-980-6800 for a free consultation. For your claim to be successful, you must be able to tie your injuries to the car accident and prove their severity. If you wait too long to visit a doctor, the insurance company or defendant might contend that your injuries were caused by something else or that your decision to put off medical care contributed to their severity. Tip: Visit a doctor within 48 hours of the collision—preferably right after you leave the scene. Be sure to mention every part of your body that hurts, and follow your treatment instructions exactly. The insurance company and/or defendant’s legal team will probably contact you shortly after your crash to get your side of the story. It is best that you leave all correspondence with the opposing party to your car accident lawyer. You might be coerced into unknowingly admitting fault or making other harmful statements. Social media websites have become a primary source of evidence to dispute claims. If the claims investigator finds a photo of you taking part in a physical activity or a post about your accident or recovery, it might be used to dispute liability or damages. Ask friends not to post anything about you or tag you in photos. Tips on how to strengthen your claim. Attorney Scott Charnas can help you understand the intricacies of the claims process and avoid costly mistakes that could extend the proceedings or reduce your chance of recovering a fair settlement. Scott works on a contingency fee basis, so you will not pay any attorneys’ fees unless you recover compensation. Call 212-980-6800 or send fill out the contact page to set up a free case assessment.